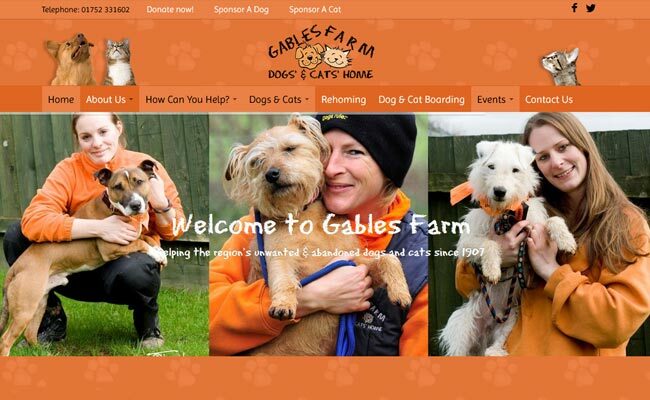 Founded in 1907, Gables Farm Dogs and Cats Home, based in Plymouth, Devon, is a rescue and rehoming centre providing care and assistance to unwanted and abandoned dogs and cats in the area. We take in and care for over 1000 dogs and cats every year. We either rehome them or re-unite them with their owners if they are lost. We care for around 80 dogs and over 100 cats on a daily basis. The majority of our animals are unwanted pets, given up by their owners, but we also take in stray and lost cats, and unclaimed stray dogs from local councils.